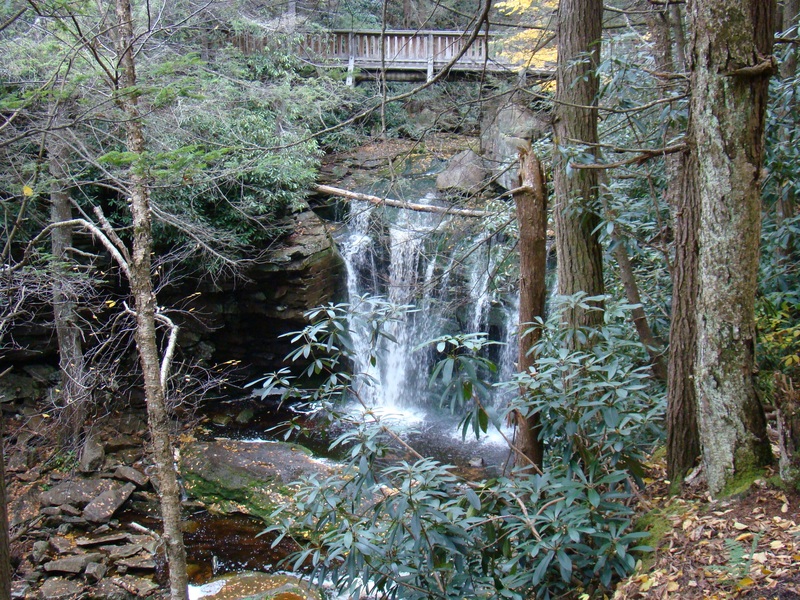 Although not as forceful as the Blackwater Falls, the Elakala Falls are much longer. 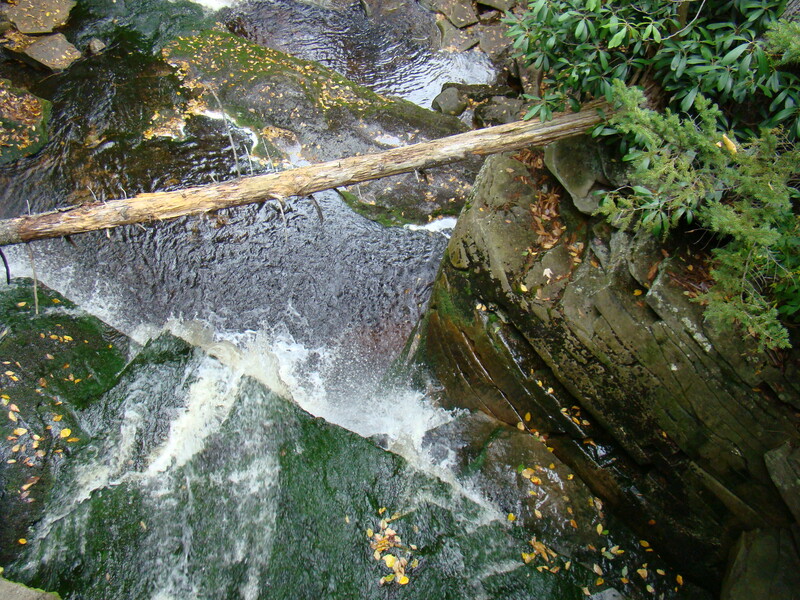 Found in the Blackwater State Park near Davis, West Virginia, these falls can first be seen from the Pendleton Overlook. Looking straight across the Blackwater River, the Elakala Falls can be seen on the opposite bank to the right of the State Park Lodge. From this distance it looks like a fine line down the side of the mountain, but in reality it is much larger. The first waterfall can be accessed fairly easily so more photographs happen here than at the other three. 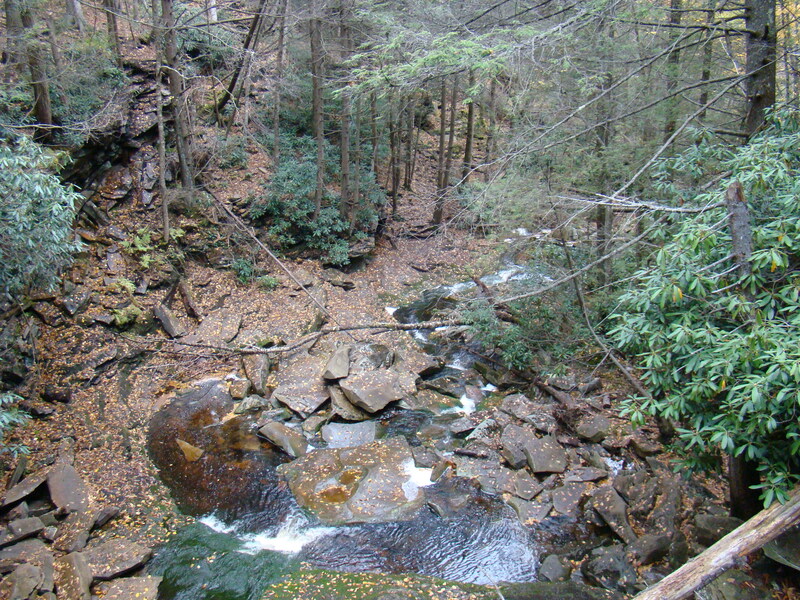 That first waterfall spills over 35 feet to continue down Shays Run. A wooden bridge there provides an easy means of crossing for an overview, but you will want to go just a little farther to get the best picture. Some choose the challenge to continue down to the next waterfall, but jumbled rocks and unsecure footing combine to make it very difficult. Anything beyond the second fall is considered extremely dangerous and not recommended for any but very experienced hikers. No marked trails exist for the other three and the gorge here drops 200 feet. The name for these waterfalls originated from old Native American Indian legends, of which there are several. The one I like best claims that an Indian princess named Elakala threw herself over the edge of the first waterfall when her warrior scorned her. While it’s impossible to know which legend rings true, this area seems to be a perfect place for those early Native Americans to have lived – near the water and under the many rock shelters present. Such magnificent Nature tucked away. Thank you for sharing this beautiful section of our great country, Bev. We live in a beautiful world just waiting to be discovered if we but open our eyes, and travel off the interstates! But then it gets ruined too. I went down to the FL Keys once and roamed around an area that felt like I was the first person to be there – then – I went down by the water and was met with beer cans, diapers, assorted candy wrappers, etc, etc. Such a crime. Some people are very careless about refuse, I agree. Two of my friends carry a trash bag with them and pick up these items on their walks so others will enjoy the scenery more. But shame on those who throw them down! Sounds like White River Falls in Oregon. It would be easy to view the falls from the overlook next to the parking lot, but with some effort you can hike down a canyon, skirt the edges of an old power plant and then climb over some rocks to see the most amazing triple falls you’ve ever seen. I feel sorry for anyone who merely gazes at thhe falls from above. They don’t see anything but the first cascade. We have to have a little spirit of adventure if we are to really see the beauties of the world. However, I had to be wise and not go too far down this path as I am not an experienced climber, just a curious gypsy. Loved the Blue Mountains area nearby on our October 2013 visit. Will have to include Elkala in our next visit to the area. This is a beautiful area. 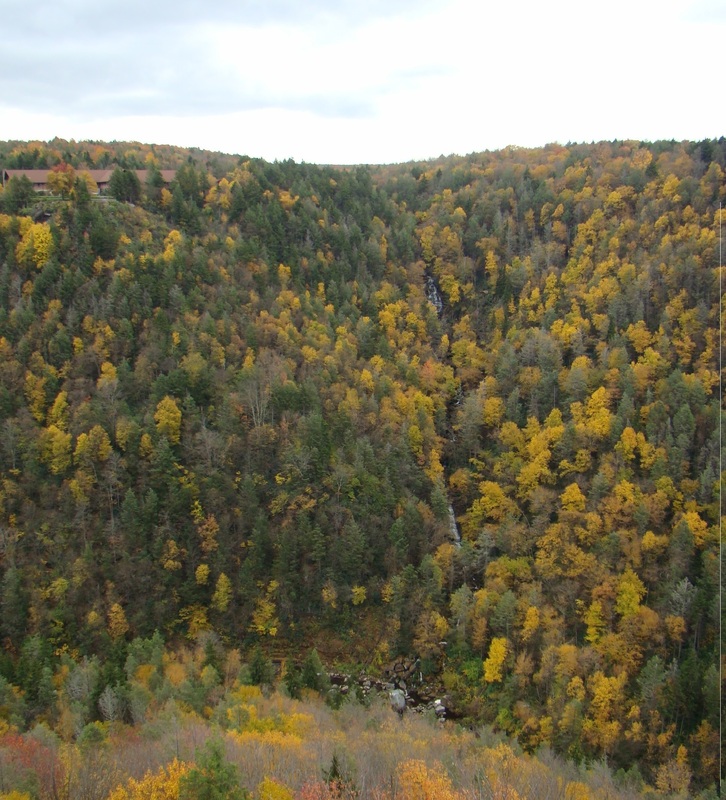 Please check out some of the other WV sites nearby on my blog posts,such as Lindy Point, Dolly Sods, and Seneca Rocks. WV is a wild, wonderful place. We live in a wonderful land here in the United States with beauty around every corner…if we but look. Thanks for stopping by, Gypsy Bev.